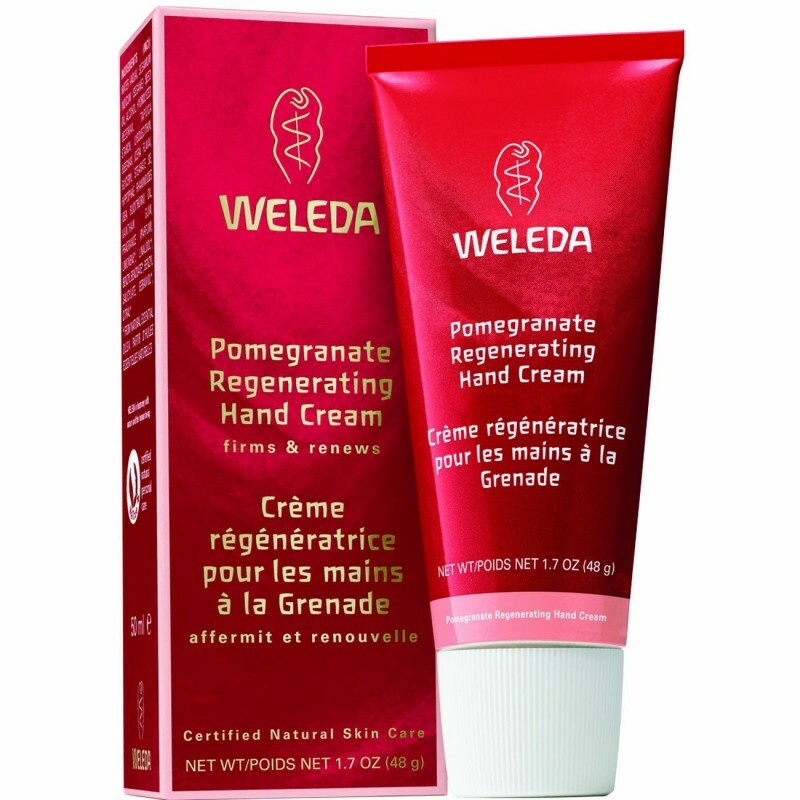 Dermatological tests show that our Pomegranate Regenerating Hand Cream increases the skin’s moisture level by 34%* and reduces roughness by 9.1%** in just four weeks. * Forearm patch test vs. control. Skin moisture content measured by Corneometer, 27 subjects, between 18–61 years of age, four-week product application, twice daily. ** Forearm patch test vs. control. Skin roughness determined by FIOTS measurement, 30 subjects between 18–65 years of age, four-week product application, twice daily. I used this hand cream recently for a change. My hands have been dry and itchy from washing baby bottles a few times every single day. With one application, the skin on my hands was no longer tight. Within a week of use several times a day, my hands were soft, dryness gone and they felt and looked fab! 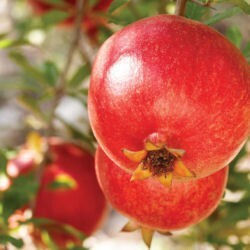 The scent is lovely, has a little fruity edge. easy to apply, consistency is medium. My hands didn't feel sticky or tacky after use either, and no hand prints on things like some creams and absorbed rapidly. The cream is soft and comes out easily. It is very quickly absorbed into my skin leaving my hands looking much better and feeling nice and soft, the lines have not disappeared but the skin looks good and feels great. It isn’t sticky to touch at all , when I touch my hands they feel smooth and pleasant. The smell is absolutely lovely. They say it is called pomegranate but the smell is very herby, strong orange or neroli I think but certainly citrus with a hint of olive as well. It is hard to explain but I just keep sniffing my hands as I am writing this as the smell is really lovely. The cream felt soft, cool and really pleasant as I applied it and my hands were feeling a bit dry having just finished some housework but now they feel great, my hands feel well nourished and there is no feeling of stickiness or oiliness which sometimes I get from handcreams so that I could get on with whatever I wanted and not spend ages rubbing my hands to get the cream absorbed. 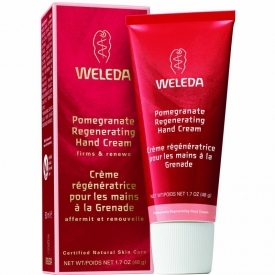 Weleda have had this tested by dermatologists and have found that by using this cream skin roughness is reduced. By 9.1% after 28 days use and moisture in the skin is improved by 34% after the same time. This information was taken from the booklet they sent me. My hands have seen a lot of sun, hrd work and exposure to weather as I am not good at wearing protective gloves when gardening etc. I am good at using hand creams though and have high hopes for this. I have been using it for a few days only and so far have been well impressed and can’t get enough of the wonderful scent. 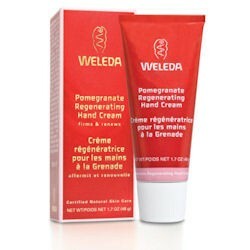 You can buy Weleda products from their own website, some re on Amazon, some in Holland & Barratt, Boots and other internet sites so shop around for value. In Boots it is £8.95 and £7.16 from Amazon as I write this Oct 2013. I don’t think that is a bad price at all for a fully natural product that is such goods quality and does such a great job at re building my skin and feeding it so well.